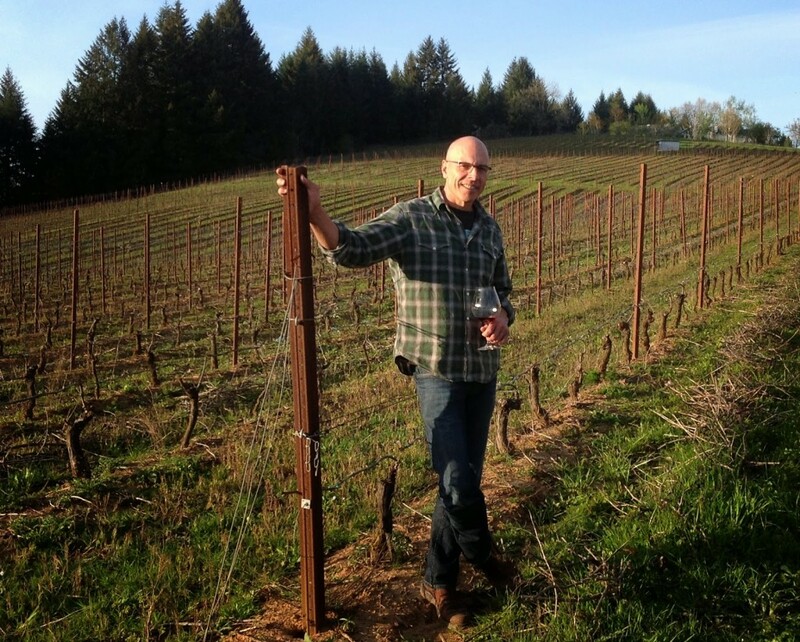 “I can vouch for the fact that this soil is about as bad as it gets.” Steve Lutz, owner Lenné Vineyards. It may not sound like bragging, but keep reading. According to Steve the most awful soil makes the best wines. 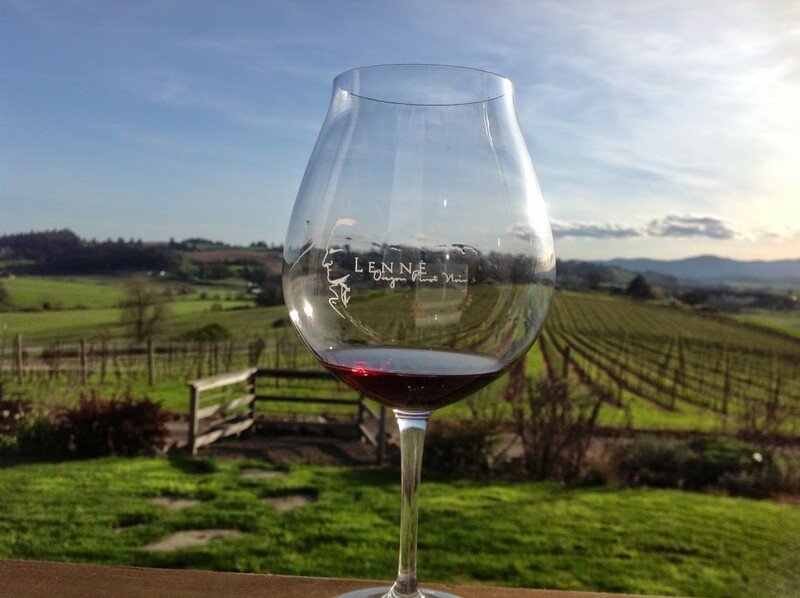 The dirt at Lenné vineyards is called Peavine, a sedimentary soil that is very low in organic matter. The result is struggling grapevines, less canopy (the leafy growth that shades grapes and uses plant nutrients) and smaller fruit size. Smaller grapes mean more concentrated flavors and tannic structure. Steve attributes the signature characteristic of Lenné wines – black fruit, chocolate/mocha, and distinct mid-palate textures- to this sorry soil. 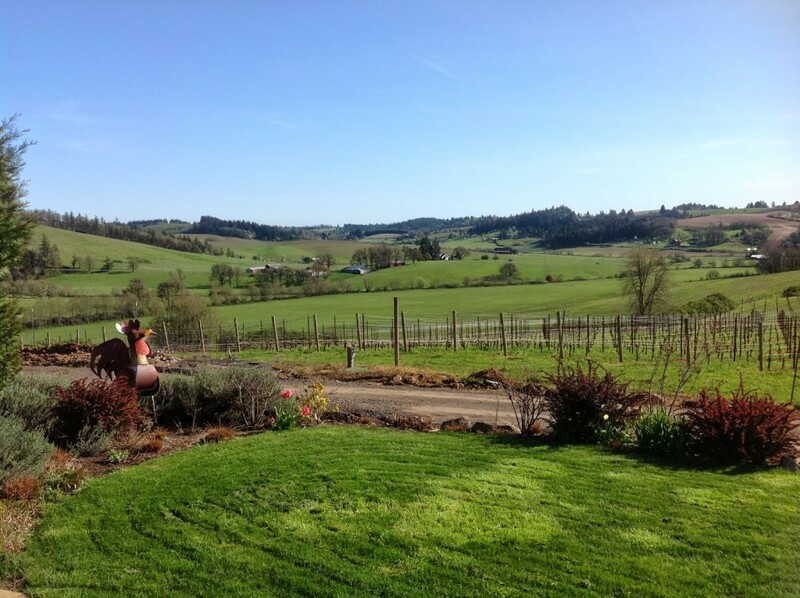 Steve may be surrounded by the green lushness that is the Willamette Valley but he has not had the Garden of Eden experience. He is no stranger to the idea of toiling in the soil to make your living. It is a good idea to be right when you say those words to your spouse. The grapevine roots have traveled deep into that Peavine soil to reach the water table and nutrients. Steep south facing slopes position the vines to catch the ripening rays of sunshine. 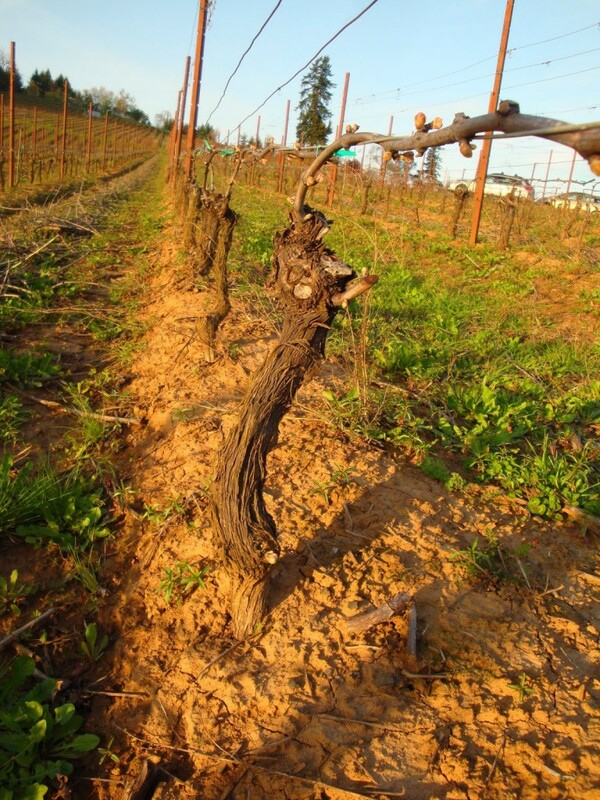 The vineyard produces wines that reflect the struggle, the terroir, and the vintage. The tasting room is expanding to accommodate larger wine club events. Through the Lenne looking glass. Given three words to describe his wine Steve says, “chocolate covered cherry.” This is simple but accurate. There is a purity of fruit – black cherry, raspberry, cranberry – depending on vintage. Chocolate does present with varying degrees of depth from dark chocolate to mocha. Think expensive French chocolate notes. The kind of chocolate you slip out of your shoes to enjoy and dissolve on your tongue to savor the experience. Even the texture of the tannin is reminiscent of cocoa powder. When we asked Steve why the soil imparts this flavor the only reasonable answer was “wine magic.” The finish is exquisite with those wonderful toasted coconut notes from exposure to French oak. We tasted 2008, 2010, 2011, and 2012 vintages, loved them all, and picked the 2008 as our favorite. Steve explained that the 2008 was constricted at release so he held back some of the vintage to allow it to develop. There are now sandalwood flavors mingled with the mix of dark and red fruits. “2008 was an epic vintage and people will be talking about it for years to come.” Each person around the tasting table chose a different favorite – a sign of quality wine making in any vintage. 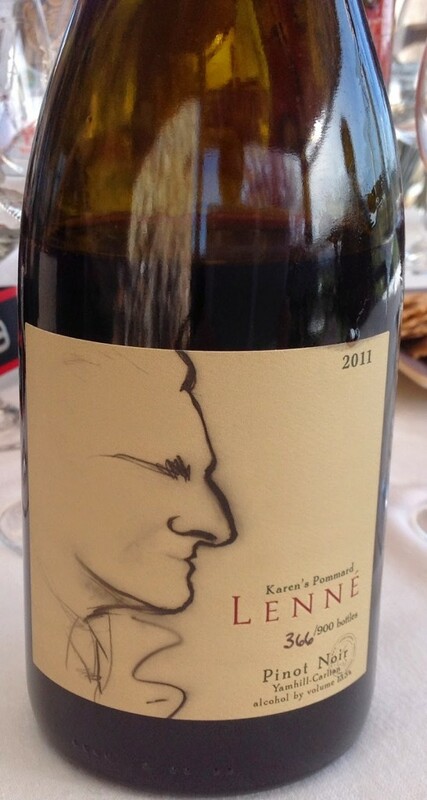 Lenné produces Pinot noir under the LeNez (le nez is French for nose) and Lenné Estate labels. All fruit is grown on the estate. Among the offerings are barrel selections and single clone bottlings. Prices range from $30 – $55. Visit lenneestate.com for purchasing information. I already subscribe and enjoy this blog very much. hoping to win. pretty please.